On the afternoon of February 28th, Hanoi, the Committee for Ethnic Minority Affairs (CEMA) and the Northwest Director Board (NDB) launched the Workshop summarizing the 2016 Cooperation Task Program and signed 2017 Cooperation Task Program. Mr. Do Van Chien, member of Central Executive Committee, Minister, Chairman of CEMA and Mr. Hau A Lenh, member of Central Executive Committee, Deputy Head of Northwest Director Board’s Standing Broad co-hosted the Conference. 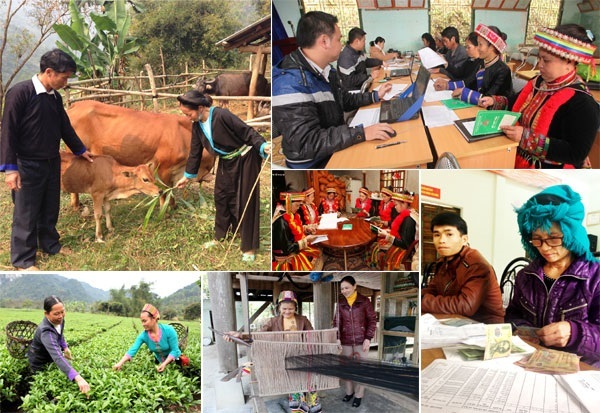 In 2016, CEMA and NDB stayed closely to cooperating program, counsel to Politburo, Secretariat Committee and Government many contents of important tasks in executing ethnic policy such as: Coordinating to know the situation, exchange, provide document, summarize 5 years executing Decree No. 05 of Government on ethnic task; scheme supporting socio-economic development of underpopulated ethnic minority groups term 2016 – 2025, coordinating in launching the Ceremony commending influential individuals in Northwest area, etc. In 2017, two agencies will focus on coordinating 6 core missions: check, know the situation, exchange documents in deploying, organizing the execution of Prime Minister’s decisions; continue to supervise and speed up local authorities executing Decree No. 05 on ethnic task and policy for ethnic minority cadres and schemes, projects of Prime Minister; deploy the Ethnic Task Strategy to 2020 and Action Program executing Ethnic Task Strategy; check, survey, know the situation of ethnic task in some Northwest local areas; check, know the situation of ethnic task, religion task and execution of ethnic task, religion task, situation of false religion and Association, check and evaluate the execution of Decision No. 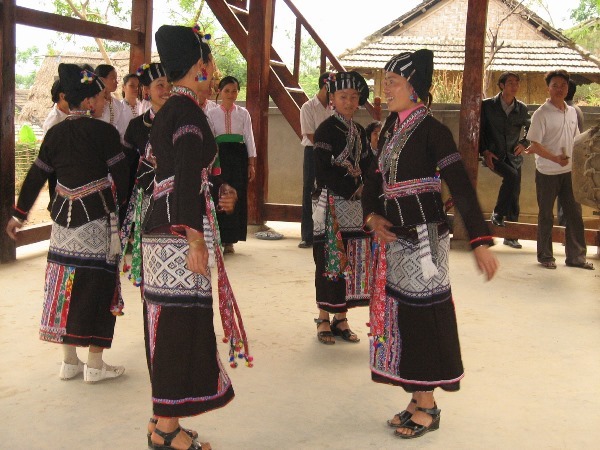 570/2012/QD-TTg of Prime Minister on arranging settlement for residents in communes near Vietnamese-Chinese border; check the execution of policy supporting home, productivity land, domestic water for poor ethnic minority households, poor households in commune, hamlet in special difficulty. Two agencies also coordinated in know the situation, launch Conference, workshop, conduct scientific research. At the Conference, beside agreeing contents of 2016 summarizing report and coordination task between two agencies in 2017, representatives also spoke out issues in Northwest area which need to cooperate to solve such as: Specific mechanism, policy for border area; avoid overlapping policies depriving the execution; local authorities should choose subject to invest and telescope resource; 2017 focus on investing IT infrastructures for mountainous and ethnic minority area; coordinate to push back the illiterate, child marriage; care more about education task, solve the unemployment, support startup for ethnic minority people. Mr. Hau A Lenh, Deputy Head of Northwest Director Board’s Standing Broad stated that in his responsibility, Northwest Director Board will stick closely to given tasks of Government giving to CEMA to accompany and coordinate in executing in the most effective way. Deputy Minister, Vice Minister of CEMA Dinh Que Hai emphasized: coordinated content needs to focus on training human resource, executing policy for mountainous and ethnic minority area and solve some urgent issues in ethnic minority area. Addressing at the end of Conference, Minister, Chairman Do Van Chien proposed Northwest Director Board and CEMA increase the build of policies related to traffic network in Northwest area, determine the strength of Northwest area to reorganize agriculture, forestry and tourism, build mechanism connecting to Northwest area. Minister, Chairman Do Van Chien proposed, Northwest Director Board and CEMA coordinate in 5 fields: Information interchange and know the situation; coordinate in building and enacting policies for socio-economic development in Northwest area; stay closely to documents and coordinately check the execution of policy for Northwest area; focus on training task for ethnic minority cadre in elite, strategic and provincial level; two agencies together support, coordinate and participate in events relating to function, task of each side. 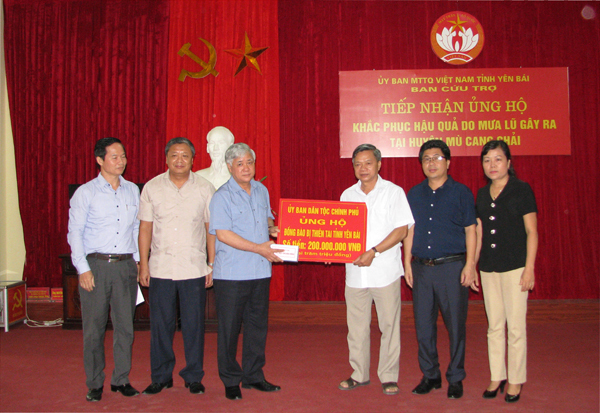 Minister, Chairman Do Van Chien also said: In 2017, CEMA was given 11 schemes to execute; therefore, in the building and executing progress, CEMA hoped to receive coordination, participation and opinions from Northwest Director Board, especially supporting CEMA in actively building Law supporting the development in mountainous and ethnic minority area as well as proposal suggesting authorizing agencies to distribute resource to execute it. 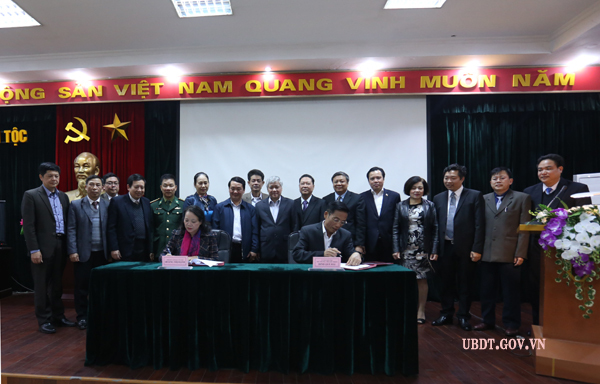 Under the witness of two Leaders’ agencies and representatives, Deputy Minister, Vice Minister of CEMA Dinh Que Hai and Deputy Head of NDB Hoang Thi Hanh signed 2017 Cooperation Task Program between CEMA and NDB.